Kangaroo Mother Care for our Babies? 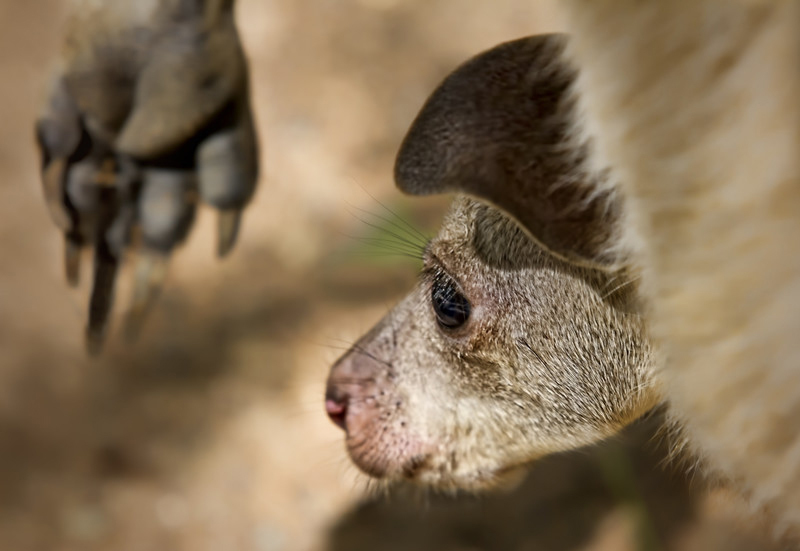 Once born, a kangaroo can stay in his mother’s poach for up to 11 months. That works out as near enough a tenth of his whole life, can you imagine the bond there must be between them? And the kangaroo’s pouch is a safe and warm and the perfect environment for her baby roo to thrive in. Kangaroo mother care gives her joey the best start in life that she can. This approach to parenting became the inspiring solution to a problem of over crowded incubators. In 1978 in Bogata, Columbia Dr. Edgar Rey Sanabria suggestion. He suggested placing premature babies on their mother’s bare chest instead of the incubator. This miraculously steadied baby’s heart beat and promoted exclusive breast-feeding. Dr Sanabria also encouraged the mother’s to take their babies home almost immediately to continue this kangaroo mother care (KMC) in the comfort of their own homes. The approach was claimed a success. It was adopted by lower income countries across the world as a solution for caring for their premature babies. Now countless studies have been done around the world on various aspects of this care. 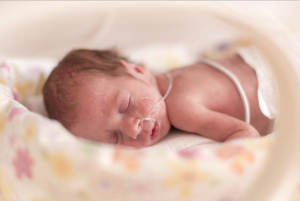 All proclaim it a successful approach to caring for premature babies. In 2013 the BBC was hailing that Kangaroo mother care rather than expensive, intensive care was the key to premature baby care. At World Prematurity Day in 2013, the leader of the Every Woman Every Child movement, UN Secretary General Ban Ki-Moon, stated: “Three-quarters of the one million babies who die each year from complications associated with prematurity could have been saved…even without intensive care facilities.” He too had seen that technology wasn’t always the answer. In 2016 the Guardian reported on the research gathered in Columbia since the approach had first been adopted. The very first babies to receive Kangaroo Mother Care were now 18 to 20 years old. The study followed 264 premature babies that had been randomly selected to receive incubator care or KMC. 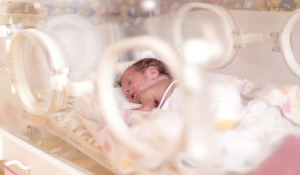 They found that the survival rate in the Kangaroo Mother Care babies was significantly higher than the incubator babies. And excitingly they found that the benefits stretched far beyond this basic feat. The KMC group were found to earn more than double that of the incubator group. Their home life was more nurturing, the KMC children had spent more time in school and were found to be less stressed and aggressive. 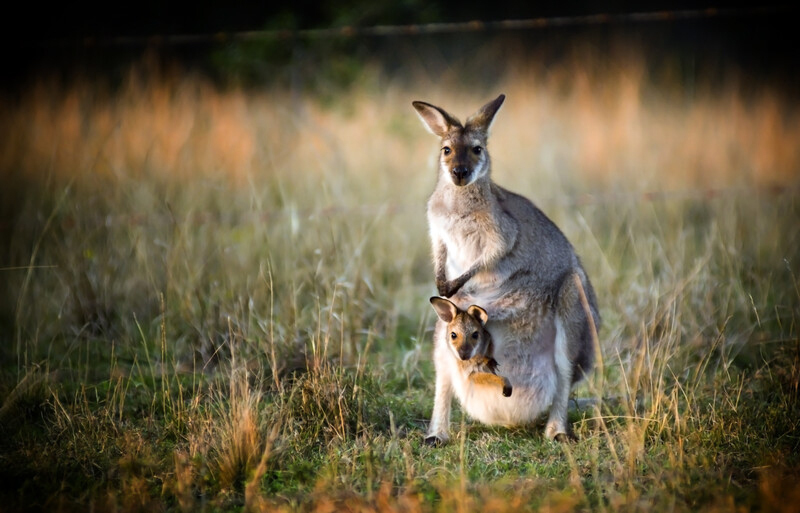 The study found that Kangaroo Mother Care had protective, social and behavioural effects that last far longer than the initial premature baby care given. 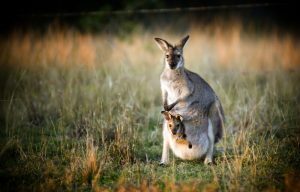 And this makes complete sense, as the kangaroo must build the bond with her joey during all that time spent together, so must KMC babies and their mothers. Such close contact must make the two more in-tune with each other. On the NICE website (national institute of health and care excellence), there are 16 more successful studies into Kangaroo Mother Care with a broad range of positive findings from KMC increases brain size, to KMC improves pain tolerance. So my question is, why is this amazing care approach only being considered a fall back for less wealthy countries? If babies don’t need the incubator unless they are born younger than 32 weeks, why is KMC in the UK limited to a brief respite from incubator care? Or a compromising holding of baby while they are still in their incubator? Can we not take the brave leap of letting go of technology and taking a more holistic approach too? But more immediately, I believe these studies show us that the ‘fourth trimester’ approach is the best way to care for all our babies. 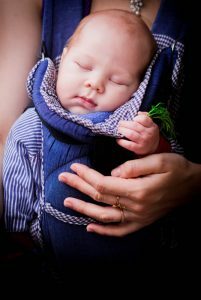 Treating out newborns as if they are still in the womb for a fourth trimester, is pretty much KMC with your clothes on. And by nurturing our babies in this way, we’re not spoiling them. We are setting them up for the best life we could possibly give them.